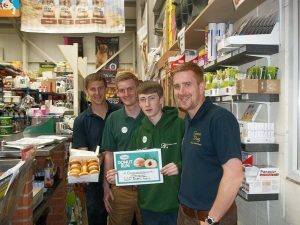 GJL Animal Feeds Blog – Page 2 – GJL Animal Feeds – All the Feeds for all their needs. Keep an eye out, November deals and offers will be posted on here soon ! We will have offers on from Dengie, Dodson & Horrell, Honeychop, Chueldys, Autarky and Purina to name just a few ! Now landed at GJL, VetSpec Dog Food. 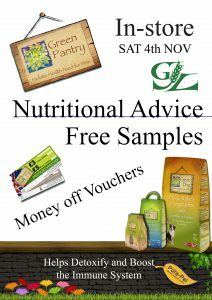 We still have the 2kgs on offer with £2.50 off a bag. New in and on the shelf with a £1 off ! 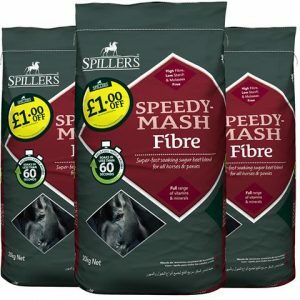 Spillers Speed- Mash Fibre. 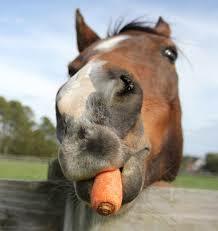 Carrots are now back in stock ! October offers are now posted on our facebook page, as well as on the offers page here. 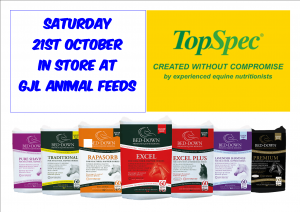 Make a date for the diary for the Saturday 21st, in store we have Bed-Down for all your equine & poultry bedding queries, and TopSpec for your equine nutrition issues. Come and see them, they are here for you. Welcome to the new GJL Animal Feeds Blog! Check out this page for all out latest offers and information! !